Joe came running up to the house with a ‘surprise’ hidden behind his back. He slowly pulled his arms around and revealed a small pumpkin. The look on his face, the light in his eyes and the excitement rolling off of him in waves was so contagious. 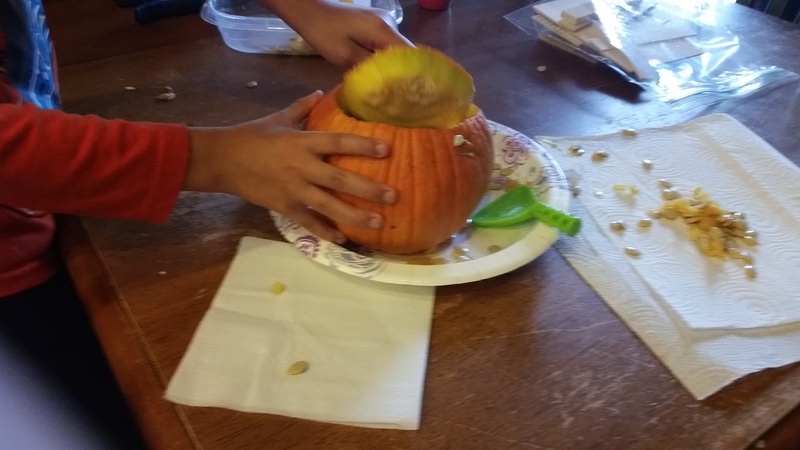 It was a small pumpkin, but we carved it and roasted the seeds while talking about how it got there when we didn’t plant it. We really didn’t plant pumpkins this year. Not in the garden, not in the vineyard and definitely not in the swales. But last year, we did throw a seed mix down behind the chickens as we moved them through the swales. And we did feed them kitchen scraps. Joe and I went walking in the swales to see what else we could find. We found red and yellow raspberries…ripe and ready to eat. They were hidden in the tall grass and they were oh-so-sweet and yummy! We found lettuce and mint growing wild. We found wild mulberry trees. There is SO much abundance on our land! 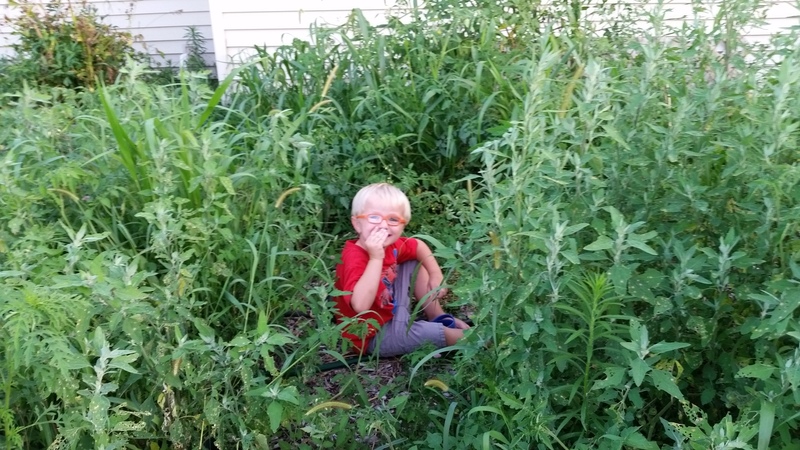 We’ve guerilla gardened in our own backyard with seed bombs and chickens. We’ve forgotten what we planted and transplanted. We’ve let Nature do that thing she does so well…grow. We’ve created a food forest for our boys to explore. 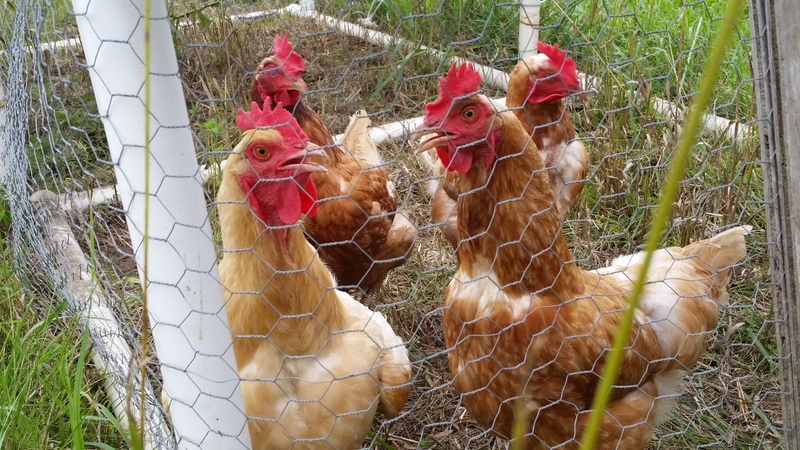 This entry was posted in Chickens!, For the Kids, Garden Stories, Life, Permaculture. Bookmark the permalink.